The GDPR has brought a new set of challenges for businesses to tackle, in ensuring that they collect, process and store data correctly. However, they all have one thing in common – the need to be in absolute control of your data. It’s impossible to be GDPR compliant unless you are accurately managing and storing your data. A GDPR compliant Single Customer view (or SCV) is the key to this. A SVC pulls together all your customer data sources, both online or offline, into a single place – names, addresses, purchases, website activity, call centre contact, and so on. Everything in one place, easy to view, access and amend. Not only does this give you a powerful tool for better marketing, it can also ease your GDPR headaches. And with potential fines of up to 20 million euros, it could be a very wise investment. Under GDPR, customers have the right to request a copy of all personal data you hold about them. If that data is held across several sources or locations, you’re going to have a hard job collating it and providing it to the customer in time. A SCV provides you with a single point, making it easy to provide the data at a touch of a button. A key feature of GDPR is the customer’s right to be forgotten – in other words, to have all personal data removed from your systems. Your SCV will already have collated all data about an individual, ensuring that all data can be erased in a single stroke. You can then be confident that you won’t process that customer again by accident. If you’re relying on customer consent for any aspect of your business, then you need to be able to prove how and when each customer gave that consent. It’s not enough to just assume that they opted in at some point in the past. A Single Customer View will ensure that the most up to date permissions are always stored. A SCV also makes it easy to manage customer preferences. 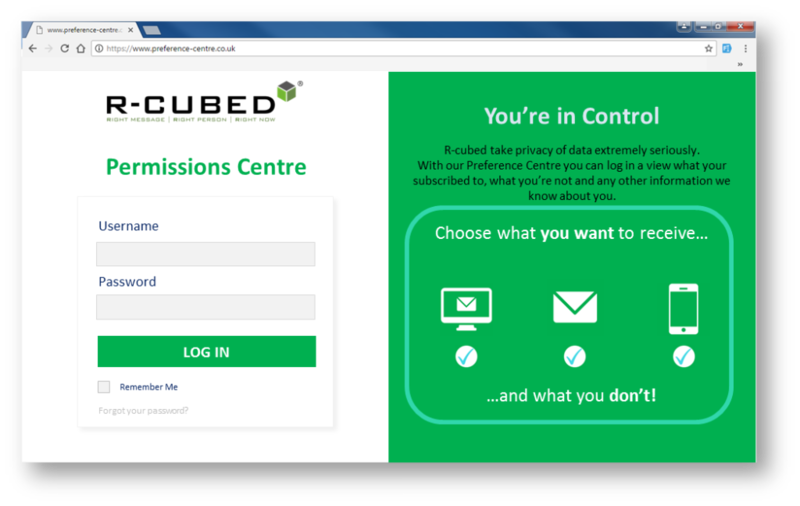 You can put the customer in full control of the messages they receive by setting up a Permissions Centre, allowing your customers to manage their own preferences. It not only reduces your operational costs but provides a great customer experience. It’s hard to imagine that anyone will be able to confidently manage the requirements on GDPR without a Single Customer View, so make sure that you know where all your data is. It’s an investment you can’t afford to miss out on.